I grew up in a small town, with small town values and small town ways. My Mom stayed at home with us when we were young and as we got older she took on some freelance work to spread her wings and free her mind. I can only count on one hand the number of times she went away without us. I guess that is why her practice of leaving us a note under our pillows when she was away was so meaningful to me. In fact, it left such an impression on me that when I became a Mom I made it my mission to leave notes under my girl’s pillows when I traveled. I have spent a good part of my career on the road in consulting so that meant building into my routine extra time to write notes prior to leaving the house on a trip. The length of time I was away did not matter; just that I was not with them. I am guessing at this point in my life that I have written hundreds of notes for them and I still do it today even if they are not as excited about them or if they don’t even bother to read them. If I was being honest with myself, I am superstitious about it now because I have gotten home to them safely each time I have left them. At first my motivation was a delightful little surprise for them just before bed so they knew I was thinking of them and that I loved them. As the years have gone by and they have gotten older, it is now about a few kind words and a moment for them to know how proud I am of them in between the “Mom….you don’t understand” teenage moments. If anything were to happen to me while I traveled the last words they have from me are kind, loving and encouraging. Taking time to appreciate what you have and celebrating “the life we have to live” is critical. So what is the leadership lesson in all of this? Showing appreciation is a key tenant of our authenticity, our humanity and our ability to lead. Performance reviews…merit increases…bonuses…reward and recognition programs never have the impact that companies want. They are sterile, they are never enough as they lack the sincerity that teammates crave. It is a very simple act to take time periodically to write personal notes. The note doesn’t need to be long…but it needs to be specific to the person and what you value about them. 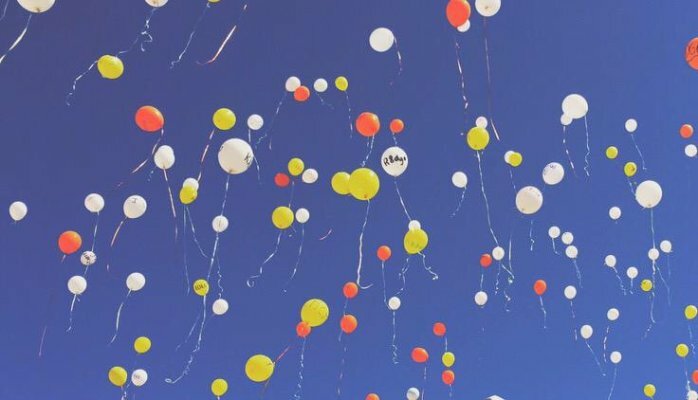 Last… but not least…on Monday, April 6th, 2015 about 2000 students of Corona Del Sol High School wrote their final notes to their dear friend Ridge on orange and yellow balloons releasing them into the sky. The image is overwhelming and inspirational. Notes can be written and delivered in all kinds of ways. Agree? How important is it to take time to write notes that do not have an ask…that do not have any other purpose but to appreciate or check in on someone? How often do you do that not only for the people that work for you but that work with you, above you and (most important of all) your family? Why do you think this has such an impact on someone? Do you believe that you get more out of these acts of kindness than those who receive it?